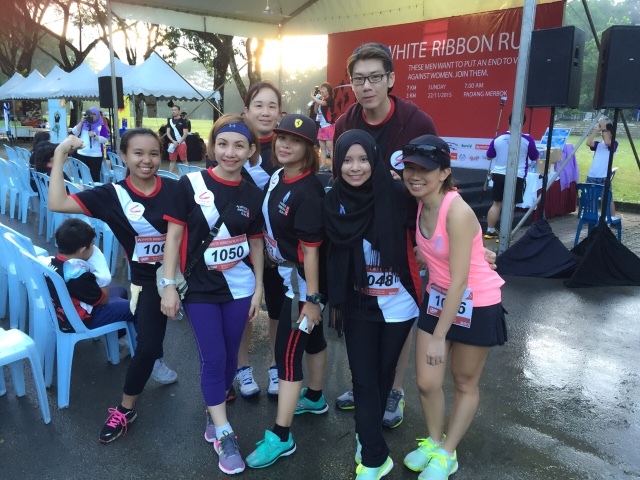 On a fine Sunday morning, I joined White Ribbon Run at Padang Merbok with a few of my friends. 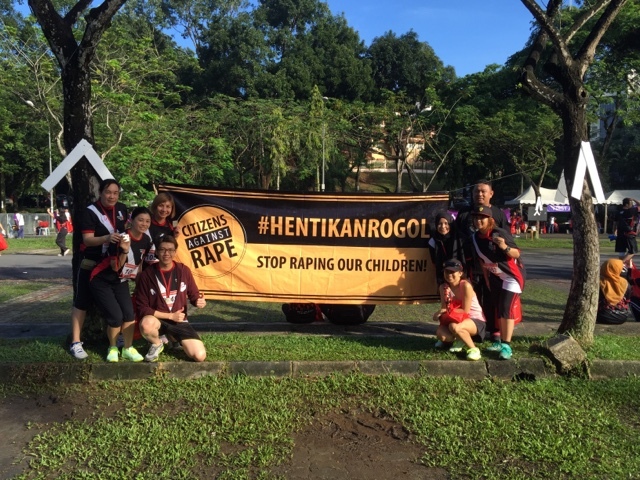 For the third time, All Women's Action Society (AWAM) held White Ribbon Run to emphasize Gender-Based Violence (GBV)and Violence Against Women (VAW) are not solely women’s rights issues, they are human rights issues and we should all be involved in addressing it. 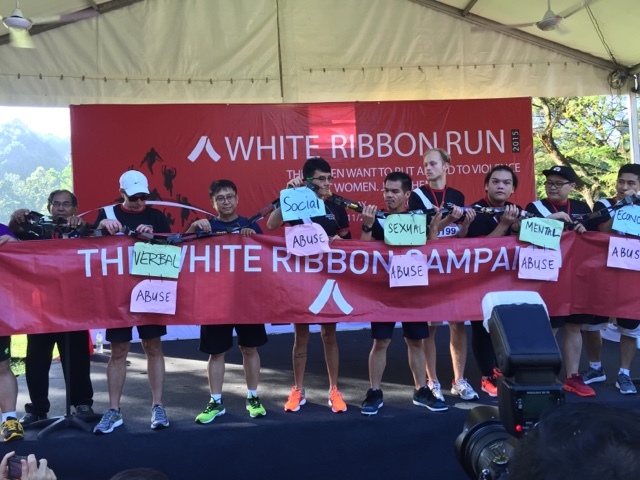 Men and boys of all ages and walks of life came together at the White Ribbon Run to break a “Chain of Violence”, to symbolise the breaking down of the violence and varying burdens women have to deal with on a daily basis. Through the White Ribbon Campaign, AWAM hopes to generate awareness, and provide a platform where men can break their silence and proactively engage on the issue of violence against women. With over 1000 participation, the theme for this year is “The Story of a Generation”. Apart from bringing awareness to the public through events such as the White Ribbon Campaign, AWAM also conducts trainings and workshops on gender-based violence issues, offers free counselling and legal information services, as well as does advocacy and law reform work. Congrats to the lucky draw winner who won the Grand Prize of 4 Days 3 Nights trip aboard the Superstar Gemini sponsored by Star Cruise. 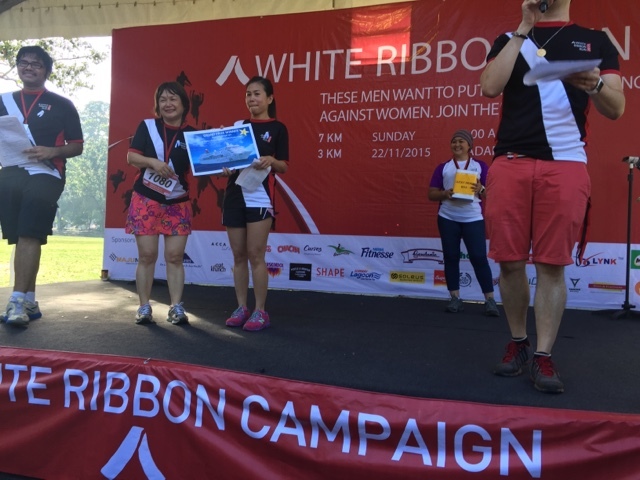 The White Ribbon Campaign is the world’s largest movement of men and boys working to end violence against women and girls, promote gender equality, healthy relationships and a new vision of masculinity. The movement began in 1989 following the tragic shooting incident resulting in the death of 14 female engineering students in Montreal, Canada. 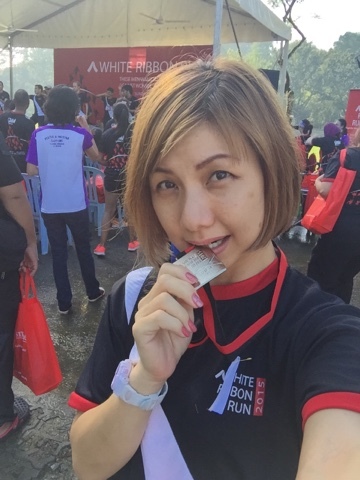 The White Ribbon Campaign seeks to change attitudes and behaviours that lead to and perpetuate violence against women by engaging boys and men to lead social change. Thanks to the many sponsors, staff, and volunteers who worked incredibly hard to bring this event to life. Break the silence, end the violence against women. Support! Support! Follow AWAM’s events and activities at www.facebook.com/AWAMMALAYSIA.